WHO? The HillBenders bend genres when they reinterpret 'Tommy' in bluegrass style. Tommy; the name is synonymous with the rock opera concept ever since the Who released their double-album Tommy in 1969. Featuring classic rock songs that tell the story of a "deaf, dumb and blind kid" who played a mean game of pinball, Tommy has been made into a movie, a Broadway stage production, and, of course, its own pinball machine. Now, fans can hear it in a new light, as a bluegrass opry courtesy of the HillBenders, who perform on Sunday, April 7, at Sweetwater Music Hall. 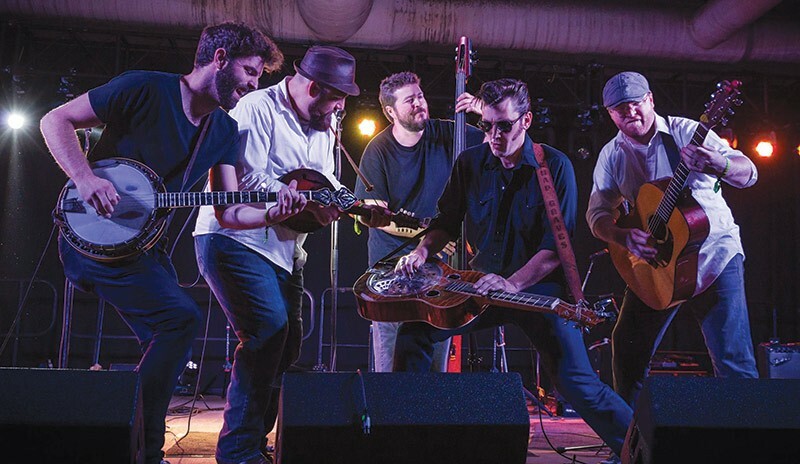 Formed in Missouri 10 years back, the HillBenders wear a variety of influences, making them popular with all kinds of audiences. One of their biggest fans was SXSW co-founder Louis Jay Meyers, a former Folk Alliance director and longtime musician and producer who first conceived of transposing Tommy into a bluegrass sound almost two decades ago. "About five years ago, our friend Louis Meyers hit us with this idea," says HillBenders guitarist Jim Rea. "So I just ran through some of these tunes, and he was right. It was a great idea." Rea took on the project as musical director and charted the album into bluegrass form. In 2015, the HillBenders released an album, Tommy: A Bluegrass Opry, that featured their rendition of every track on the original double-album, and they turned the opry into a 75-minute live show that they've toured with around the world. "It can be a head-scratcher," says Rea of turning classic rock songs into bluegrass. "But you can fool with the rhythms to give it an up-tempo bluegrass feel and almost all the songs seemed to fit into that." While the band's instrumentation remains traditionally bluegrass, they achieve a percussive beat in their acoustic music. "We've got the Keith Moon of the dobro," says Rea of band mate Chad "Gravy Boat" Graves, who slaps the resonating stringed instruments like a drum. "We wanted to stay true to the original stuff," says Rea. "The biggest compliment we get from the Who fans who see us is that we are honoring the music." The HillBenders present 'The Who's TOMMY: A Bluegrass Opry' on Sunday, April 7, at Sweetwater Music Hall, 19 Corte Madera Ave, Mill Valley. 7pm. $28-$32. 415.388.3850.